There were developments in the Bro Bowl saga this week. After the National Register honored the Bro Bowl, he harumphed that it was “marginally significant” and talked of getting “bulldozers out there” to start the new park. Mayor Bob Buckhorn has never hidden his disdain for the 36-year-old graffiti-covered skate park known as the Bro Bowl. Yes, disdain, but why? Because. The fact is that the City has prejudged the issue from the beginning and not worked for any real compromise, though the exact reasons for the City’s position have really never been explained. After looking at moving the Bro Bowl, City Hall has returned to its original idea for the fate of the historic urban skate park. Once demolished, the bowl would drop off the National Register of Historic Places. But city officials say groups with a range of interests would benefit. City Hall could proceed with its $6.5 million project to reimagine and rebuild Perry Harvey Sr. Park in a way that honors the history of the Central Avenue black business and nightclub district. And, as a result of the city holding a detailed consultation with the community about the park project’s impact on the bowl, federal officials could release a $30 million grant to help pay not only for Perry Harvey Park but the larger Encore Tampa urban redevelopment project. Of course, they could have just tweaked the park plan months ago and been working on the park right now. — Does the Bro Bowl Actually Have to Go? Why, according to the City, does the Bro Bowl have to be removed? Documenting then demolishing the Bro Bowl would let the city build Leaders’ Row where it now stands. Leaders’ Row honors the history of the African-American community and is a great thing. However, from the City’s report, it is clear that the City can include the Leaders’ Row with the Bro Bowl still there. (See pg 15 of the pdf) So why not do that? As with everything else regarding the Bro Bowl, because. If it fails to win approval, the mayor said he will support walling the Bro Bowl off from the rest of Perry Harvey Sr. Park to reduce potential conflicts between skateboarders and visitors to Leader’s Row — an outdoor exhibit detailing the history of Central Avenue, long the commercial heart of Tampa’s black community. The divider would be a curved 8-foot-high stucco wall running along the east and south sides of the Bro Bowl. The wall would have vines running up it to soften the look and “to reduce opportunities for graffiti,” the report said. Just what conflicts does the City think will happen? (Is it going to be the real life incarnation of “The Warriors?” ) Strange, but we thought people interacting was good, not detrimental – especially when they can learn about the history of the area and its residents. Isn’t the display supposed to honor AND educate? But, clearly, people walking their dogs or having a picnic cannot possibly coexist with people skateboarding, and they must all be kept separate. Why? Because. And note, even if the City has to build a wall (which it doesn’t), it is likely less expensive to build a wall where you can honor more of the local history than to completely move the Bro Bowl and replicate it somewhere else. Once again, why is the City determined to do it the hard way? Because. In any event, if the City cannot remove the Bro Bowl, it is going to do what it can to make sure that the skaters cannot have fun. What’s more, officials warn that even that would not mean the bowl would remain the ride-at-your-own-risk skaters’ mecca that it’s been since 1978 — a place with minimal official supervision, where skaters were free to paint the graffiti that gives the bowl its quirky punk charm. That’s because Encore Tampa is expected to bring thousands of new residents to the neighborhood and many new visitors to Perry Harvey Park. The park itself — now hardly used — will get custom artwork and sculpture, an interactive fountain for musical-water-light shows, a “History Walk” focused on story of Central Avenue and an event lawn for concerts and festivals. With an active, new park next door, parks officials would “take a more intense management approach” to the Bro Bowl, according to a Janus Research report that accompanied Buckhorn’s letter to the state. Instead of largely ignoring the bowl, parks employees would be there when possible checking to make sure skaters had city rec cards, helmets and pads. Graffiti would be banned. The bowl would close for special events at the park. “The Bro Bowl would not remain as open and free as it was given its proximity to other uses,” City Attorney Julia Mandell said. (The park is hardly used, except by skateboarders, that is.) Why do the rules need to change? Because. If it is the number of people and uses that is the issue, why can anyone just go to Curtis Hixon Park and have their kids play on the playground without a fence,rec cards, etc., while other play football or Frisbee and yet others just enjoy the space (Same with Kate Jackson Park or Bayshore – which the City says is a park and is clearly crowded)? Because. It is too bad that the City has risked Federal grants seemingly just to make the point it does not have to compromise. The park could have been done long ago and everyone’s interests could be served. But that is just not how things work here. Of the four options that the city has considered, state officials agreed that only leaving the Bro Bowl in place would avoid creating an adverse effect that would result in its removal from the National Register of Historic Places. Thus, Parsons encouraged the city to think about leaving the bowl where it is. ♦ A state historic marker at the site of the original Bro Bowl, which won a place on the National Register of Historic Places last fall. ♦ Interactive interpretive materials that use a laser-scanning survey by the University of South Florida. While we doubt any real resources will be expended on any of those things, we assume, as we have from the beginning, that the City will do all it can to destroy the Bro Bowl – even if it costs more. “Everyone can have their cake and eat it, too, on this one,” said Mayor Bob Buckhorn, who this month sent the city’s proposal to state historic preservation officials for review. By everyone, he means him. He does not explain how removing the actual historical Bro Bowl and building an EPCOT replica is really giving Bro Bowl users their cake. Everyone could be honored and respected by leaving the Bro Bowl and renovating the rest of the park, but the City has never been interested in that. Why? Because. From all this, it is clear that, despite all the rhetoric, Tampa’s DNA hasn’t changed at all. Why? Because. That update came courtesy of Sam Sampoux of MDC Architects in Lake Mary. He added that his firm was “awaiting feedback from the owner,” Mercury Advisors, which has been the project’s developer since its inception in the mid-2000s. Sampoux said the permitting process has not yet begun. It starts after the design is completed and approved. In further news, last week we noted that the Lightning owner filed to rezone property next to the Forum for a hotel/condo complex and had some massing diagrams. More can be found here. Sen. Jeff Brandes has asked the Florida Department of Transportation’s inspector general to investigate how Pinellas County’s mass transit agency is spending public money to inform voters about Greenlight Pinellas. In a letter sent Tuesday to DOT Secretary Ananth Prasad, Brandes asked the agency to review how the Pinellas Suncoast Transit Authority is spending about $800,000 to educate voters about the Nov. 4 referendum that seeks a one-cent sales tax increase to pay for new bus routes and a 24-mile light rail line between St. Petersburg and Clearwater. A handful of politicians, lobbyists and government officials plotted to take over Orlando’s Expressway Authority and use the agency’s $300 million budget to their advantage, according to records and testimony released by the State Attorney’s Office. The aim was to put their friends in charge of the agency, further their own careers and direct lucrative contracts to associates, say documents and the sworn statements by eight people associated with the Orlando-Orange County Expressway Authority. Among those allegedly involved were agency board member Scott Batterson, an appointee of Gov. Rick Scott indicted on three bribery-related charges last month; former state Rep. Chris Dorworth, Batterson’s friend since middle school and now a lobbyist; and state Department of Transportation Secretary Ananth Prasad, also a Scott appointee. The documents released last week reveal a torrent of behind-the-scenes maneuvering — including talk of seizing power and handing out multimillion-dollar contracts over $47 of beer at a Baldwin Park bar. But the public knew none of it until the turmoil burst into view during an Aug. 28 meeting of the expressway authority’s five-member board. That’s when Batterson joined fellow board members Marco Peña and Noranne Downs in a 3-2 vote to seek a successor to agency Director Max Crumit. You can read the whole article for more details (though the explanation is a bit convoluted). It should be noted that, as of posting, no one has been convicted of anything, and we are sure more facts will emerge. Nevertheless, maybe those concerned about possible waste, cronyism, and corruption should focus on roads. 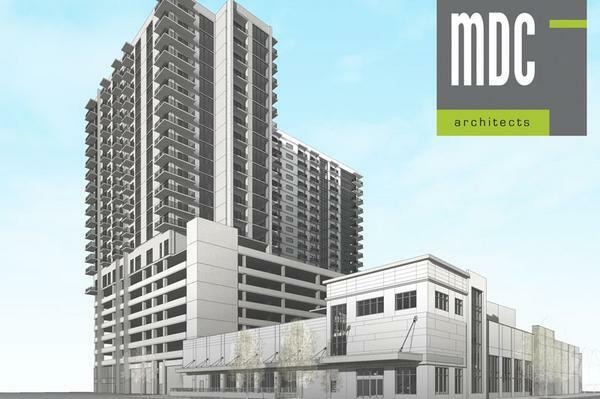 Those complexes, and others in the works, will bring a vast supply of modern housing to a downtown lifestyle in demand for its walkable options in entertainment, education, shopping, restaurants and people gazing. What’s missing? More jobs. Significant jobs. Headquarters jobs. St. Pete’s getting back on the economic development wagon, so some company expansion deals should be announced over the summer. It’s the Fortune 200 global electronics manufacturer based off Roosevelt Boulevard in north St. Petersburg. It’s also downtown’s big question mark ever since this newspaper reported last July that Jabil might move its headquarters to land near Tropicana Field on the western edge of downtown St. Pete. At that time, a draft plan for the downtown site included a 360,000-square-foot campus of Class A office space and parking that would make it downtown’s largest commercial complex. While Jabil employs 1,600-plus workers at its headquarters, a good portion of them work in an adjacent manufacturing facility. If Jabil chooses a downtown HQ, those workers will likely stay where they are. Initially, Jabil said it hoped to choose a headquarters site by the end of 2013. Now that decision feels overdue. It could stay where it is or build on land near its HQ. It could pick a different site. Or it could come downtown. It is true, Jabil could be big for downtown St. Pete, but not if it built a “campus.” A campus is exactly the type of suburban design that downtown does not need. We think it would be great is Jabil moved to downtown St. Pete, but leave the campus in Gateway. If you want to be downtown, build something that belongs downtown. A worldwide “business process outsourcing and product support” company is considering moving its international headquarters to the city, making it eligible for almost $1.4 million in state and local incentives. The company’s identity is being kept secret, but the deal came to light because the St. Petersburg City Council will be asked next week to commit $182,500 to the incentive package. The city is in competition with places in North Carolina, New Jersey, Texas and Georgia for the company’s business. The business is referred to as only “Project B4030352160” on the council’s June 5 agenda. It promises to bring 65 new high-wage jobs. Administration officials are recommending the council approve the city’s $182,500 share. The rest would come from the Governor’s Quick Action Closing Fund and the Qualified Target Industry Tax Refund. In city documents, the company would move its global headquarters here, but also “retain 202 high-wage jobs” already in St. Petersburg. Those new jobs are expected to pay $84,829 with a $28,000 benefit package. The company also plans to invest more than $2.1 million in construction and equipment. According to the article, it does not appear to be Jabil. While it would be very nice to get an HQ, because we have no idea what the company is we have no idea how big a deal it is, getting 65 new jobs seems a bit small. In any event, if St. Pete succeeds, good. Once again, South Howard is in the news. Tampa City Councilman Harry Cohen says he plans to spend the summer trying to find common ground between the bars along South Howard Avenue and the nearby residents who complain about the profusion of late-night noise and traffic along the street. Cohen said he met with a group of SoHo and Hyde Park business owners Wednesday. “The business owners have indicated they want to work toward cooperative solutions,” he said. Cohen said he will do some research in SoHo, including ride-alongs with local police, to get a better feel for what goes on there on the weekends. The councilman’s attempt at compromise is the latest effort to resolve a running dispute between residents of the SoHo corridor and the strip’s booming bar scene. The relationship has grown more contentious as Tampa City Council has continued to approve new alcohol permits for bars and restaurants in the area between West Kennedy and Bayshore boulevards. Today, more than two dozen bars and restaurants along South Howard serve alcohol, drawing night-time bar hoppers from across the region. Many of those places sit cheek-by-jowl with houses, condos or townhouses. Yes, they are close, and they should be respectful of each other. But then again, maybe some of the people leading the complaining should have remembered the concept of caveat emptor. Adam Smith and JuliaMarie von Maltzahn live in a home that overlooks World of Beer at South Howard and West Azeele. They arrived in 2012, about a year after World of Beer opened on the site of a former Mexican restaurant. If you knew what was there before you bought, it is hard to be that sympathetic. We are more sympathetic to longtime residents that have had the change foisted upon them. We found an interesting article on rail in Utah, which is hardly a liberal state. You can read the whole article yourself, but we will highlight a few things. It wasn’t always the case that Utah was in a hurry to build public transit. In 1992, voters rejected a tax measure that would have funded a light rail line in Salt Lake Valley. In 1997, at the groundbreaking for what would become the successful TRAX system, protestors held up signs that read: “Light Rail Kills Children.” Not exactly a warm welcome. Today, however, TRAX and transit are such integral parts of the Salt Lake metro that it’s hard to imagine life without them. In 2006, voters easily approved a quarter-cent sales tax hike (64-36) so that the expansion (dubbed FrontLines 2015) could finish up by 2015 instead of 2030. And that $2.5 billion, five track project was completed this August — a full two years early. That’s 70 miles in 7 years, more than doubling the length of the Utah Transit Authority system, at $340 million under budget. How does a region once opposed to light rail perform a feat that would be impressive any day, but especially in times of transit cutbacks? The key, says Steve Meyer, chief capital development officer of UTA, is gathering broad support among stakeholders. Early and substantially under budget. So it does happen, even in places that originally reject transit (are you listening Hillsborough?). So, how did they build support? Oddly enough, one of UTA’s most effective strategies for uniting people was targeting those who don’t use public transit. The agency and its advocates pointed out that TRAX ridership saves 29,000 trips — or two full freeway lanes — in the Interstate-15 corridor every day. Road-reliant businesses like UPS ran ads explaining that FrontLines would help residents get their packages quicker by reducing traffic. UTA also worked hard to create what Meyer calls an “inter-local agreement” among cities up and down the Salt Lake Valley corridor. Transit officials explained the basic infrastructure that would be put in place in every city and told local officials that they would have to pay for any extra amenities themselves. That early clarity prevented cities from withholding support unless they got a better deal than others. So how much would two full freeway lanes through the whole area cost, including right of way? And how much would it cost to expand them as opposed to just putting more cars on the existing rails? Now we are not going to make the case that building rail is inexpensive – it usually isn’t. (Though operating costs can be another matter) On the other hand, those who claim it is not worth it and always subject to cost overruns are not correct. As anyone who can see from the lists of the week over time, Utah is thriving – and it is conservative and has embraced rail. The fact is that it all can be done right, help transportation, and accelerate economic activity. Even so, FrontLines 2015 might not have been possible without outside help. Federal transit funding accounted for 20 percent of the total cost, according to Meyer. With Washington less and less inclined to pay for transportation projects, rallying local support will be even more important than it’s been in the past. Indeed. The fact is that delay just makes it more expensive – for rail or roads. Our list this week is Kiplinger’s list of Best Cities for Singles (Feb 2014). The methodology, which includes pay scale, level of education of the population, and cost of living, can be found here. The best cities for singles are: Bloomington (IL), Baltimore, Ann Arbor, New Haven (with Yale), Los Angeles, Philadelphia, Santa Cruz (Silicon valley), Trenton (including Princeton), Richmond, and New York. Given the methodology, it is not surprising that Florida does not feature.